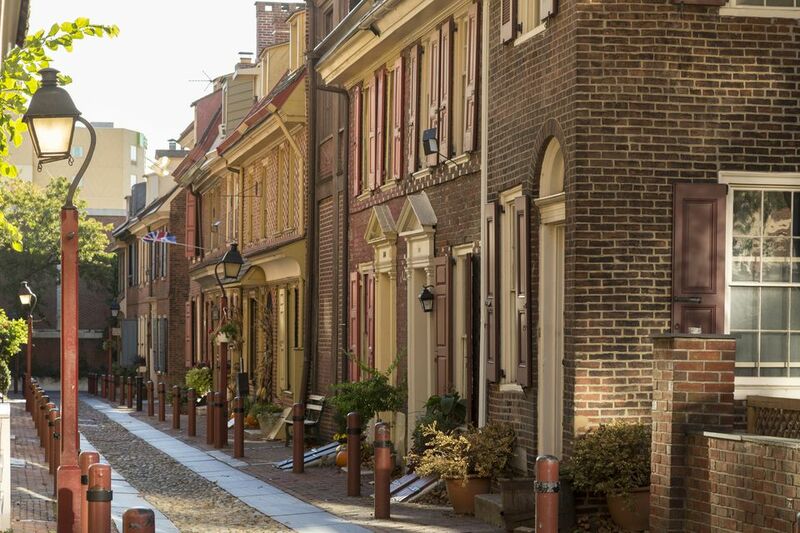 One area of Philadelphia that never seems to go to sleep is Old City. Where tourists come to visit historic sites during the day, the young and young at heart come out to play in the evening. Enjoy this guide to some of the best bars, clubs, and entertainment venues in Old City Philadelphia. This late-night lounge, bathed in cobalt blue, offers eclectic Asian, American, and Fusion cuisine specializing in classic American dishes with a twist, Asian influenced appetizers, and a full fresh sushi menu. Their drink menu has more than 30 different types of martinis. It's no surprise that Bleu Martini has been named one of the best martini bars in the city. Their VIP lounge and waitress-only table service give you the comfort of sitting back and enjoying the lively atmosphere. They also offer a variety of options for private parties, happy hours, and corporate events. This downtown pool hall features flat screens, dartboards, and a menu of casual fare. It has been chosen as the best bar in Old City by Philadelphia Magazine. They have 10 pool tables, 3 dart boards, large screen TVs, 2 full bars and a large private party room called The Metropolitan Lounge which is located on the second floor overlooking Chestnut Street. The 1940’s Art Deco lounge has a full bar, seven pool tables, and three luxurious couch areas with velvet sofas and overstuffed armchairs. A live music venue known for alternative and rock performed by national and local talent such as Blue Cheer, Busdriver, Electric Six, Fiction Plane, Jack Penate, Ra Ra Riot, and Weedeater. The Khyber offers an intimate experience in a friendly no-frills setting. In addition to great music the bar has been called "laid back, unassumingly hip and inexpensive." Happy Hour is from 5:00 p.m. to 8:00 p.m. with $2 yards pints, $1 domestic bottles and $1 off everything else. The third location of this regional brewpub (also in New Hope and Princeton, NJ) offers boutique beer and pub fare. Staple offerings such as Honey Wheat, Amber and IPA are backed up by five rotating seasonals. Live acoustic music is offered on select Wednesdays.